New home by award winning builder – MOVE IN READY! 2712 SF floor plan has den on the main and 4 bedrooms upstairs, including nice master suite with large walk-in closet. Home features include air conditioning, custom cabinets, stainless steel appliances, slab kitchen countertops, wood wrapped windows, gas fireplace and much more. Other plans and lots available to build and pick finishes. BUILDER’S MODEL AT 401 E SPRUCE AVE, La Center. Sat/Sun 12-5. 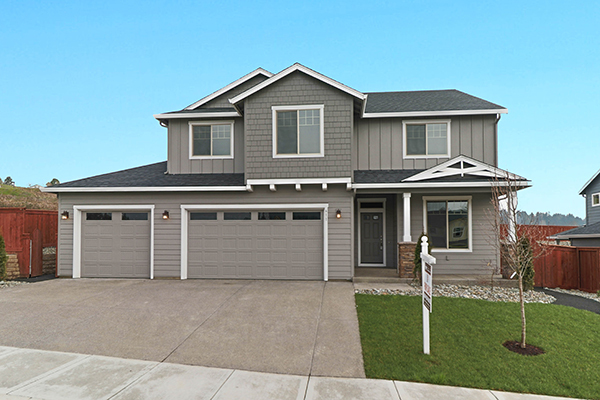 Call Nathan Cano’s team at (360) 823-3333 or contact us today to see this and other homes in Heritage Country Estates by award winning builder JB Homes.